FORD 8.8 [FORGED] 1350 SERIES U-BOLT STYLE DIFFERENTIAL PINION YOKE WITH UP TO 30 DEGREES OF ANGLE. If you have or are getting ready to install a Ford 8.8 Rear Differential in your Offroad Vehicle, then this yoke is a must. This 8.8 Yoke gives you up to 30 degrees depending on how thick your slip yoke is and the Factory Flange only gives you 22 degrees. 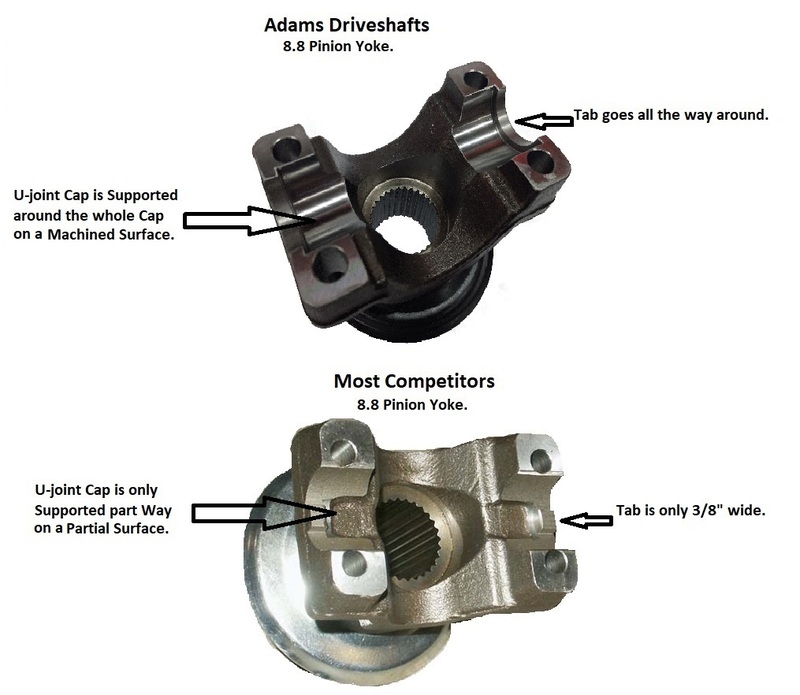 This Ford 8.8 Pinion Yoke is FORGED here in the U.S.A and is the Strongest on the Market. We had the Tabs that hold the U-joint in, go halfway around the yoke, unlike most after market yokes that only have a 1/4" tab. Also, this yoke has more Angle than any other Yoke on the Market so it can handle more Articulation in Offroad Applications. 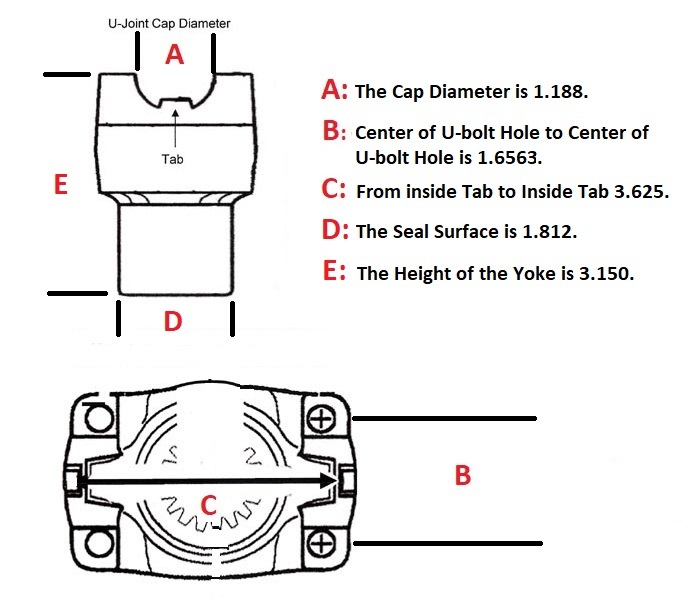 This is a Link from our Website Explaining how to set your Angles and some Issues with using the Factory Ford 8.8 Pinion Flange instead of a Traditional Pinion Yoke. Limited Lifetime Warranty. If yoke Breaks due to Torque it will be Warrantied. 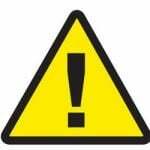 If Yoke Breaks due to Bad Angles it will not be Warrantied. Click the button below to add the FORD 1350 SERIES 8.8 PINION YOKE [FORGED] HIGH ANGLE 28 TO 30 DEGREES to your wish list.